Sprinter van owners, you’re in luck! AutoPro Auto Service in Brooklyn Park, MN has your back when it comes to quality auto repair. 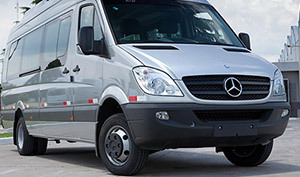 Our team of ASE-Certified auto mechanics are ready to service and repair your Sprinter, and we have all the equipment and experience to do a stellar job. Sprinter vans are fantastic vehicles. Used as both personal and fleet vehicles, Sprinter vans are known for their quality, reliability, and their ability to haul 530 cubic feet of cargo. Each Sprinter model rides comfortably and smooth. However, if you want your Sprinter van to continue serving you for many years, you need to take good care of it with regularly scheduled auto repair by thoroughly trained auto mechanics. “A+++!! Service is the best, always honest, fair & respectful. I have had a great experience every time and won't trust anyone else with my car. Bonus they have loaners, this saves me money and headaches trying to get to work while my car is being repaired. Thank you guys for the wonderful service! !” -- Jaime D.
You can find AutoPro Auto Service at 7901 W River Road, Brooklyn Park, MN 55444. Give us a call at (763) 560-9367 if you have any questions about specific Sprinter van auto repair services for our auto mechanics. Plus, we invite you to make an appointment online. Our team looks forward to seeing you soon!